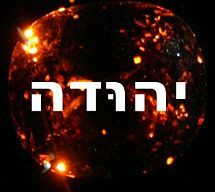 Zerah (Hebrew: זרח, Zẹrakh or Zārakh; Greek: Ζάρα, Zāra; Irish: Zearach; "Name means::bright red"), (b. Born::Teveth 2283 AM), was the second son of Judah and Tamar, and was the twin brother of Pharez. Zerah entered Egypt in the winter of Entry into Egypt::Teveth 2298 AM. How long he lived after that, the Bible does not say. Roman and Greek legends claim that a man named Dardanus (who gave his name to the Dardanelles, a narrow strait between the Mediterranean and Black Seas) was the founder of Dardania, later called Troy and the ancestor of the Trojans. Some commentators identify this Dardanus with Dara, fifth named son of Zerah, and also identify Calcol, the fourth named son, with King Cecrops I of Athens. At least one translation of the Antiquities of Flavius Josephus, in mentioning King Solomon as being wiser than two men named Calcol and Dara (or Darda), gives Dara's name as "Dardanos." So perhaps Dara and Dardanus were regarded as the same man during the 1st Century AD. As a further complication, the Greek poet Homer says that Dardanus was a son (or descendant) of Zeus, the chief of the Greek gods., The Roman and Greek legends say that Zeus (called Jupiter in Latin) was a son of Saturn who was also called Kronus. Writing of the Greek gods, Sanchuniathon, a Phoenician historian, says that "Kronus, whom the Phoenicians called Israel, had a son Jehud." Thus according to Homer and Sanchuniathon, Dardanus (who founded the Trojan kingdom) was a descendant of Jehud (Judah) whose father was Israel. Various Irish traditions declare that Míl Espáine, the ancestor of the Gaels, was a descendant of Zerah. According to The Harmsworth Encyclopedia, Cecrops (identified as "Calcol" of 1_Chronicles 2:6 and "Chalcol" of 1_Kings 4:31 – son of Zerah and brother of Darda) was the 'mythical' founder of Athens and its first king. He is thought to be the leader of a band of Hebrew colonists from Egypt around 1700 BC. Historical records tell of the westward migration of the descendants of Calcol along the shores of the Mediterranean Sea, establishing "Iberian" (Hebrew) trading settlements. One settlement now called "Zaragoza" or "Saragossa", in the Ebro Valley in Spain, was originally known as "Zaragassa," meaning "The stronghold of Zerah." From Spain they continued westward as far as Ireland. The Iberians gave their name to Ireland, calling the island Iberne which was later abbreviated to Erne, and subsequently Latinized to Hibernia. James Ussher was familiar with the ancient legends, and the histories left by Diodorus Siculus, Eusebius, and Manetho. He concluded that Danaus was a prince of Egypt and brother of Seti I.
Ussher also identified Cecrops as another Egyptian, not a Hebrew, though he also stated that Cecrops founded Athens in 2448 AM, during the Sojourn. Moreover, regarding Cadmus (above), Ussher identifies him as yet another Egyptian, who founded the city-state of Tyre in 2549 AM. Though the Bible says little of Zerah and his clan, it does state quite clearly that the Zarhite clan entered Israel with the rest of the tribe of Judah, and gives no evidence that the Zarhites, or any branches of that clan, abandoned the forty-year march of the Israelites and traveled to the Aegean Sea or the Black Sea (called the Euxine or Friendly Sea in those days) to found their own kingdoms. Whether a large population of Zarhites were taken captive by Shalmaneser V and his chief-of-staff and possible successor Sargon II remains speculative. The Bible says nothing that would either confirm or deny such an event. ↑ Knowles, E. “Dardanus” The Oxford Dictionary of Phrase and Fable, 2006 ed. ↑ Josephus, F (1926) Josephus. Vol. 5: Antiquities: 8:2:5, pp. 593-595. Translated by H. St. J. Thackeray. ↑ Homer, The Iliad. (I. Johnston, Ed.). Arlington, VA: Richer Resources Publications, p. 440. ↑ Cory, I.P. (1876). Cory's Ancient Fragments. London: Reeves & Turner, pp. 21-22. ↑ Ussher, James, The Annals of the World, Larry Pierce, ed. Green Forest, AR: Master Books, 2003, pgh. 173. ↑ Ussher, op. cit., pgh. 167. This page was last modified on 14 December 2009, at 17:44.